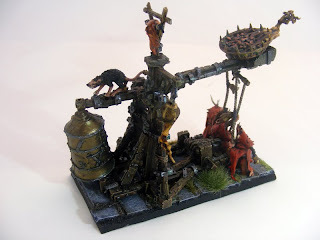 My "Ratapult" is based on the Orc Rock Lobba and parts of the Furnace kit. Word is that GW are about to release a plastic kit later in 2010. 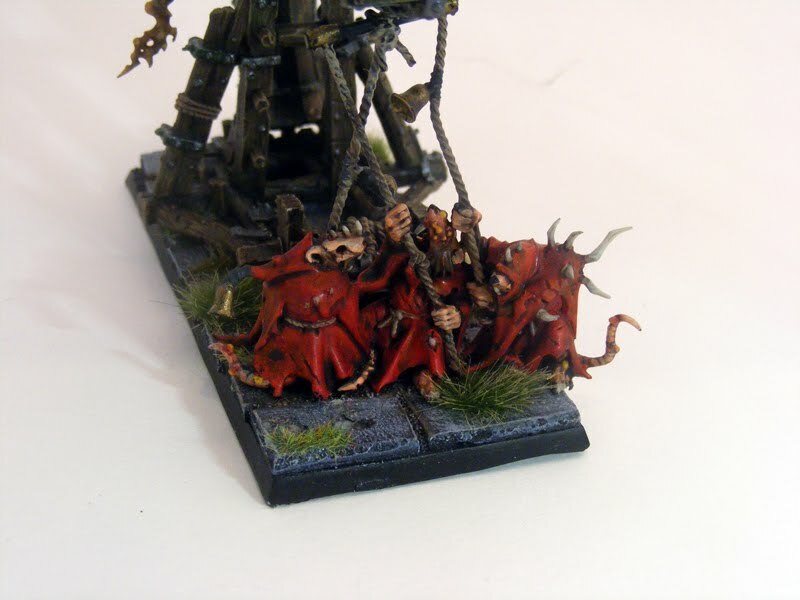 Private correspondence with contact at GWUK has indicated that post the release of Island of Blood both the High Elves and Skaven will be getting additional kits. The High Elves release has been confirmed so placing lot of credence on the info. Reading the blog with interest. So few good fantasy blogs out there!